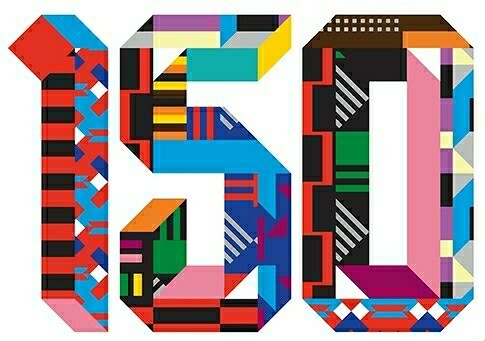 Outline Editions, in collaboration with Designjunction, have commissioned ten designers and illustrators – including Noma Bar, Kate Moross and James Joyce – to decorate some limited-edition Oyster card* holders in celebration of the 150th anniversary year of London Underground (whose first journey was in January 1863). Oyster card holder by James Joyce. Above: details of holders by Noma Bar (top) and Andreas Neophytou. Other image-makers involved include Kristjana S. Williams, Andreas Neophytou, Studio Small, MinaLima, Pearson Lloyd, BCMH and Andrew Rae. The graphic outcomes respond to a variety of tube-related images and experiences as well as the ‘fabric of London’, in both a figurative and literal sense. Rae’s packed carriage includes an octopus, a sloth, a deep-sea diver, a Residents-like giant eyeball and a swan sporting a baseball cap. 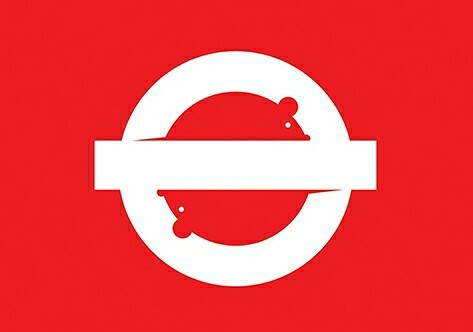 By contrast, Noma Bar’s rodent-infested roundel sticks to one colour and three outlined mice. Kate Moross’s design evokes the moquette fabric used for underground upholstery, while James Joyce’s chromatic design is reminiscent of tube station wall tiles. There will be an exhibition of the artwork during the London Design Festival, from 19-22 September 2013 at the Sorting Office, 21-23 New Oxford St., London WC1A 1AP. Free tickets are available via Eventbrite. The card holders will be on sale at Designjunction and on the Tfl (Transport for London) online shop for £6.99 or £55 for the set of ten. * ‘Oyster Cards’ are pre-paid plastic cards for use on public transport in London, including Underground, Overground, buses and trains.